Samsung Galaxy S4 set for launch in February 2013 | What Hi-Fi? Samsung is set to release the Galaxy S4, the latest version of its Galaxy S series of smartphones, in February 2013, according to a report today. 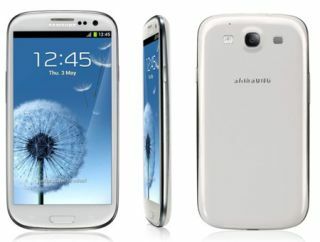 The Korea Times reports that the Samsung Galaxy S4 will debut at Mobile World Congress in February and will feature a 5in screen – even bigger than the 4.8in display on the Galaxy S3 (pictured). The news came on a day that great rival Apple announced a record two million pre-orders in just 24 hours for the iPhone 5. The rumours, which came from an official from one of Samsung's local partners in Korea, suggest the Galaxy S4 would keep a similar exterior design to the S3, but the internal engine would get a performance boost. While a launch at MWC makes some sense, being arguably the biggest trade show dedicated to mobile technology and where Samsung announced the likes of the Galaxy Note 10.1. However, Samsung in fact chose to launch the Galaxy S3 at its own separate event at Earl's Court in London. Samsung has sold more than 20m Galaxy S3 phones since its release in May 2012, with the handset not being one of those caught-up in the patent wars between Samsung and Apple.